In the recent weeks, we have been blessed with beautiful warm weather which is a massive indication that summer is basically here. When each season begins, it also brings a number of new trends, whether that is fashion or interior design; there is always something somebody is talking about. At the beginning of each season, it gives you a new possibility to re-design the interior of your home and give it a fresh new perspective as well as making it fit in with the current time of year. When giving your home a new design, you don't need to tear down walls or re-paint the whole of your home, as a lot of this can be achieved by simply swapping out soft furnishings and adding more relevant colours. There is a lot of talk this year about some new and upcoming design trends which you can achieve very easily in your own home, so I have narrowed it down to some of my favourites below. White has always been a colour-stable and isn’t likely to go out of fashion ever! White brings a sense of class as well as brightening up any room, as well as making smaller rooms look much bigger. However, this summer, white on white is taking the world by storm, as it gives a modern and clean feel to any room. Of course, having a completely white room can be quite daunting but you shouldn't be scared. There are plenty of beautiful materials on the market which are stain proof and can be easily cleaned. If you don't want a completely white room, then incorporating dark wood can break up the colour and keeps your eye moving around the room. The earthy bronze tones are back and fit in incredibly well with the summer style. Any copper, bronze or brass accents add a dash of class as well as a splash of colour to any room. Bronze light fittings, door handles, pots and pans look beautiful in a room and can also be mixed with other earthy tones. To achieve this look, don't be afraid to mix all different types of metal in the same room, especially in the kitchen. Stainless steel accompanies warm tones well and can all contribute to a wonderful industrial-styled décor. Splashes of colour have always been a popular interior design trend, and work incredibly well in white rooms. Wallpaper with a dash of colour, soft furnishings like cushions and curtains can give your home a bold statement. This design trend can be easily achieved by swapping out cushions and other soft furnishings for ones which follow this seasons colours. You can also mix up different textures and patterns to achieve this look, but just make sure you don't go too mad, as the room can look very jumbled. One design trend which never gets old during summer is bringing the outside in. 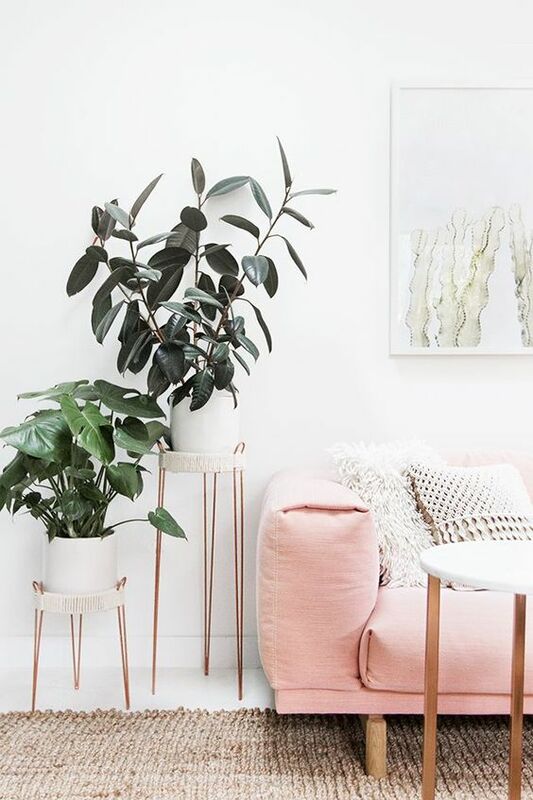 Whether you opt for furnishings made of natural materials, have flowery prints or even house plants; this trend is all the rage! You can opt for a number of indoor plants in each room, and larger plants can be placed in a corner to fill up space. Smaller plants can be placed on windowsills and coffee tables. However, if you don't want to commit to looking after real plants, you can always opt for plastic versions! So, light isn’t the most creative design trends, but summer is all about illuminating your home and bringing the season inside. Natural light can make a room looking bigger, as well as lighting up your beautiful interior and showing off your furnishings. Having the right coverings for your windows is also essential during summer as you will want to regulate how much light is let into a room. However, light is an extremely important asset to how your home looks, as summer is all about the sun, you will want to make sure you have enough natural light. Although, when you are trying to sleep you won’t want any light in your bedroom at all. If you have skylight windows, then opt for skylight blinds for fakro windows as they can come in a range of wonderful colours which will fit into any décor. Summer is all about expressing your favourite colours and doing something a little different in your home. With such an array of incredible trends this year, will you be implementing them in your home? Are any of these trends something you'd incorporate into your home? I love every single trend that you have mentioned in this post, bronze is something I am loving at the moment! If I had my own place I would definitely decorate it exactly how you’ve mentioned in this post. I would honestly incorporate all of these!! The trend of greenery inside is a huge favourite of mine - though I'd definitely opt for plastic plants! Natural light is so beautiful but I am terrible for not leaving it in enough. I'm in love with anything bronze. White & natural light are my must haves in a home, love how clean and open a place looks! I am so obsessed with plants at the moment, it is so odd but so nice! I love the pictures! 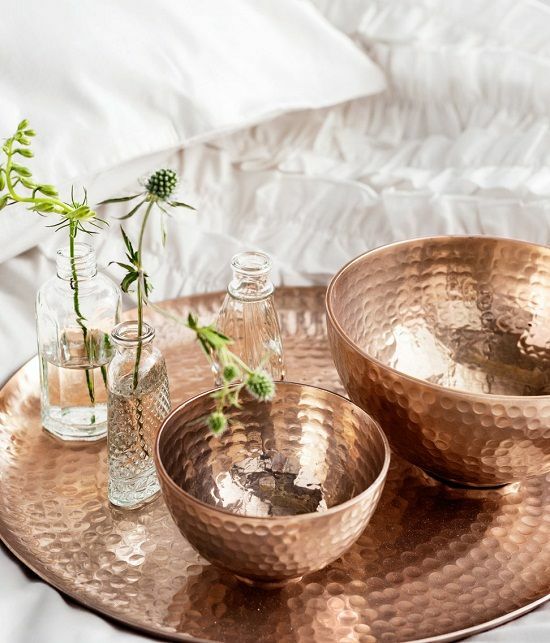 I love copper/bronze accessories, especially when the rest of the decor is simple and greasy looking. I love plants and colors in and around my house. Also positive quotes and sayings to brighten my day. Love all of these ideas and the pictures as always. Visiting your blog and reading each of them is such a treat, Dear. Keep writing and sharing your wonderful ideas and tips. Oooh loves this post!! Feeling very inspired! Nodding along to all of these. White is just so fresh and airy. All these trends are beautiful and I love that colour palette! I love gold and bronze tones for Summer!